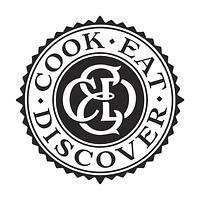 What will you be doing on a food holiday with Cook Eat Discover? You will spend either 4 or 7 days based in the village of Roccatederighi in Tuscany, staying in poolside apartments. We will give those on each course intimate cooking lessons, tours of different artisanal and sustainable food producers, and private dinners cooked by our chef. Please see the itinerary for more info. Prices vary according to the length of the course and the accomodation options, please take a look at the Courses section of the website for pricing information. For two friends, partners or family members sharing an apartment, prices per person are currently £650 for a 4 day, and £1300 for a 7 day course. Apartment accomodation (see accommodation section); cooking lessons from your private cooking instructor Oli and from other experts as part of external trips; tours, trips and activities (see example itinerary); all transport during the week in our van; breakfast supplies for your private kitchen; all meals apart from one dinner (as part of an allotted free evening); wine and selected aperitivos; transfers between accommodation and Grosseto (our nearest city) train station on arrival and departure days. Is the accomodation shared or private? Shared apartments are available for those travelling together who wish to share, otherwise private apartments are provided. Prices per person do drop for those who wish to share an apartment with a friend, partner, family member etc. For pricing information go to the Courses section. Both types of apartment are in the same building in the same poolside complex. For more info go to the accomodation section. Who will I be on a course with and with how many people? You will share your holiday with those who have signed up for the same course, but we believe in intimate food holidays so our courses involve a minimum of 2 and a maximum of 8 people. If you are interested in private, bespoke holidays, please get in touch. What if I am not physically suited to/have a problem with any of the activities on the itinerary? Please get in touch to discuss what your concern is. We will do our best to accomodate everyone! Do I have to be a confident cook? No, we welcome anyone and everyone. It is our aim to inspire and empower people in the field of food and cookery and we welcome all levels of knowledge and ability. Simply go to the Courses section, select the one you wish to join, and follow the booking process. No, we ask for a holding deposit up front of £500 for the 7 day courses and £300 for the 4 day courses, with the full balance due 30 days before the start date. Please get in touch to discuss. While it depends on the requirements, we try to accomodate everyone.